We’ve been brewing up some marketing goodness for you all here at Inbound Brew and it’s pretty fantastic, if we do say so ourselves.We’ve been brewing up some marketing goodness for you all here at Inbound Brew and it’s pretty fantastic, if we do say so ourselves. 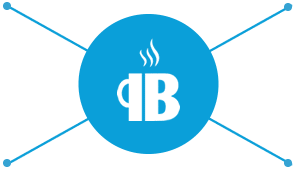 Last year we released our full-featured and completely free marketing plugin for WordPress, Inbound Brew. The free plugin offers a variety of SEO and inbound marketing tools from keyword management to custom forms, emails, CTA buttons, lead management, a social push tool, and more. We received fantastic feedback across the board from our freemium plugin users and WordPress community. The resounding message? With the same commitment to a superior user experience and unmatched value, we are pleased to announce the upcoming release of Inbound Brew Pro… A premium SEO and content marketing tool that you can actually afford. Our expanded analytics tool also imports all of the essential analytics from your social media accounts. No need to try to figure out what numbers you should be looking at and where to find them– We made it easy! We’ve taken lead management to a whole new level. Inbound Brew PRO allows you to track your visitors behavior on your website from how they even found your website in the first place to the pages they visited and how long they lingered there. Time to take your CTA game to a new level… We’re moving up to the big leagues, literally. Our top-bar CTA tool makes it easy to highlight important stuff above fold, right where it belongs. Whether your end game is to boost promotions, generate signups, offer discounts, or direct website traffic, top-bar CTA’s have your back. As always, no coding required. If you like our free custom email tool, you’re going to want to marry our PRO email tool. With our advanced email tool, you can quickly and easily roll out robust automated drip campaigns. Simply create your custom emails and then set them on auto-drive… Whether you want to send one email or a series of emails, our PRO email tool allows you to send personalized and strategic emails to your leads triggered by events or actions. You make the rules, we just follow them. Have something important to say? Need to send out a massive amount of emails to a massive amount of leads? We make it easy with our new mass email tool. So go ahead… Say it loud and clear for all leads to hear! We’ll be your megaphone. There’s no need to have a separate email service for this. See, weren’t kidding when we said Inbound Brew is the most affordable and awesome all-in-one plugin for WordPress. NOW is the time to get excited. Inbound Brew PRO will be available for your downloading pleasure September 15th, 2017. Have a question? We’ve certainly got an answer.